As most of you all know, I, Dr. Bob, am the only one with the balls big enough to actually play through the Dark Souls game without kicking my feet and crying from their unrelenting difficulty. Chris can’t stay sober long enough to focus on beating a skeleton and Dom would rather craft new pants for his Rogue…what a shock…in ESO:Online. My first ever article post on the site…way back to April 26th, 2016, yeah we’re a year old already, was a review of Deck13’s first Souls Clone, Lords of The Fallen http://wickedgoodgaming.com/dark-souls-redheaded-stepchild/ . I love me some Souls games and don’t get me wrong the game was gorgeous, but there were so many problems with the game if I didn’t play it for free I would have been even more furious with the finished product. The classes were all the same, the enemies were all the same, the locations were all the same, and there were dozens of glitches that completely take you out of the already limited immersion. Needless to say, I was very disappointed with the game, but thankfully Dark Souls 3 came out soon afterwards to help cleanse my distaste in ash and cinder. Three years have gone by since Lords of The Froghats flopped and Deck13 has been working on yet another Souls Clone in the process. Queue the trailer for The Surge. 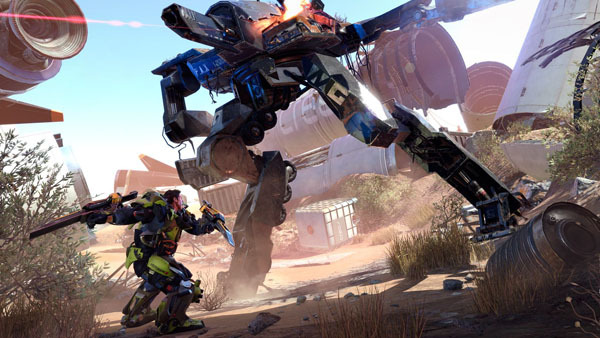 The Surge is taking the Souls clones into a completely different direction and I am hesitant to say, but I kinda look forward to it. Lords of The Fallen left a real bad taste in my mouth, but The Surge has peaked my interest. Just like BloodBourne, the change in environment and enemies seems to be the right direction. As much as I say I hate seeing game franchises skyrocketing into the future(Call of Duty Everything), I never suspected a Souls Like game to be one of them, it is the exact opposite of everything else that’s been put out in that genre and I think it could be pretty solid. The weapons and enemies seemed varied enough which is a huge leap from LoTF, the character designs seem to have the same physique of Harkyn which is fine with me, bring on some more Marcus Fenix twins, and the futuristic environment looks engaging, when the 2 snowy castles from LoTF were too bland. The thought that Dark Souls 3 is the last actual Dark Souls game really breaks my heart, and the fact that I can’t play BloodBourne and whatever squeals come from it because they’re PS4 exclusive kills me on the inside, but it opens up this unique genre for others to create. So please Deck13, don’t make me regret The Surge, especially after Lords of The Flytraps. I’m crossing my fingers, toes, and eyes hoping this game will be half as good as the Dark Souls games and a hundred times better than Lords of the Firecrackers. 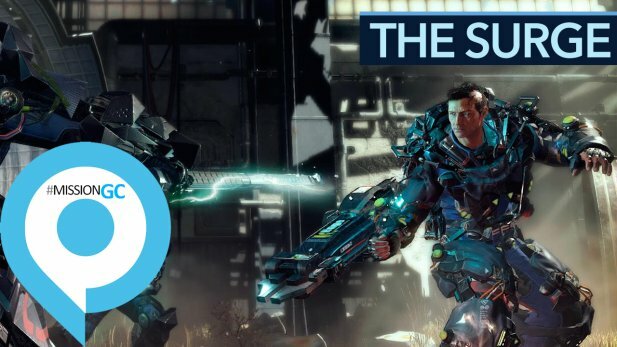 The Surge drops May 16th, so stay tuned for the review.